Oldman Watershed Council - Community organizations and individuals from all walks of life will celebrate their pledge to preserving southern Alberta’s watershed at noon on Friday, April 7, 2017 in Lethbridge City Hall’s main foyer. 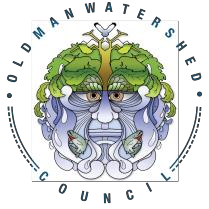 The event will highlight the Oldman Watershed Council’s (OWC) new Water Charter, a voluntary pact encouraging individuals and organizations in the region to plan and perform their own watershed protection initiatives. Lethbridge Mayor Chris Spearman, Lethbridge MLA Maria Fitzpatrick, University of Lethbridge President Mike Mahon and Taber MD Reeve Brian Brewin will attend the event to celebrate their organizations’ planned activities. Thus far, proposed activities for the Charter have ranged from installing riparian fencing, to planting willow stakes to prevent erosion, to screening the OWC’s educational videos in schools. For their part, University of Lethbridge student Antoine Gendron and five of his colleagues will collect garbage, conduct soil and water tests, document plants and take note of vandalism along the Oldman River near Taber. “We’ve entitled our project, ‘Adopt a River,” says the 20-year-old General Science/Pre-Education student. He and his team plan to work for eight hours on their designated section of the river on April 8, “doing what we can to clean it up and help in whatever way possible.